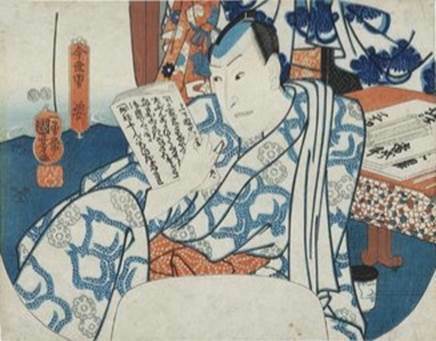 This is a key block print of an unidentified actor. 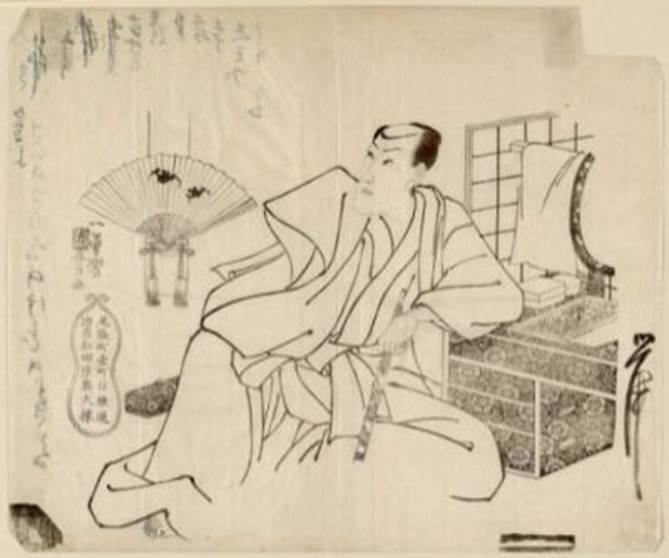 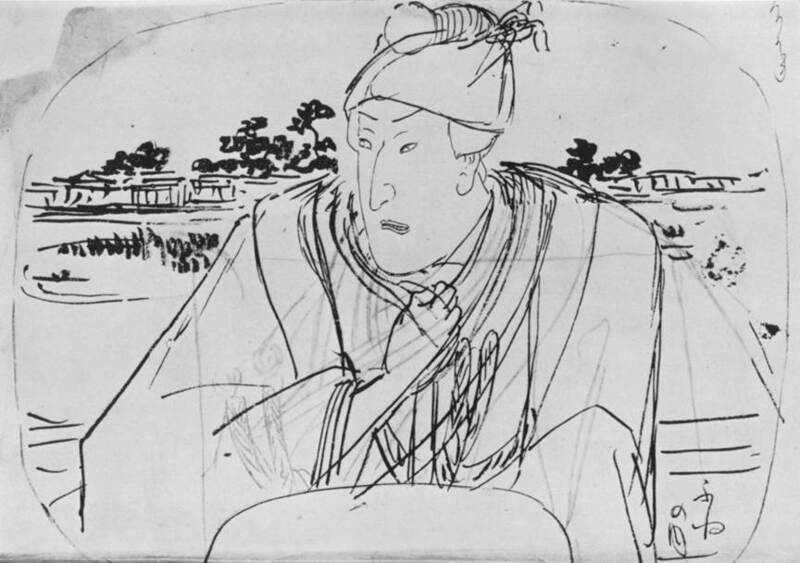 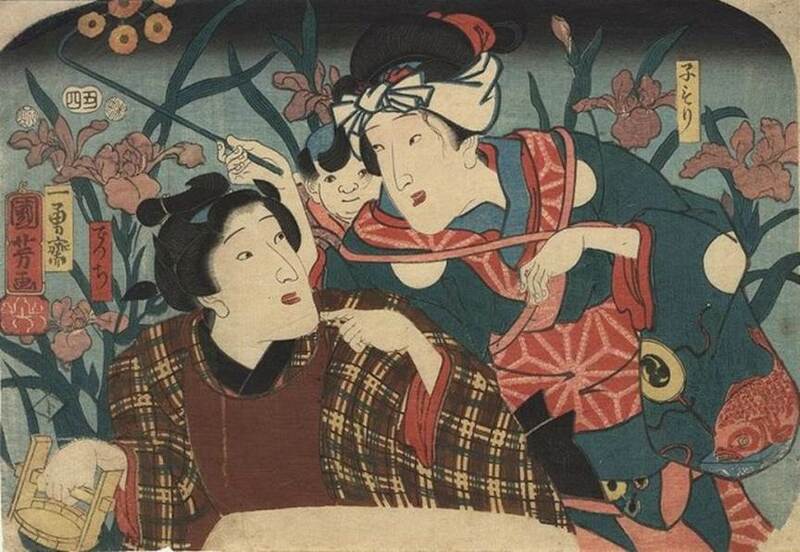 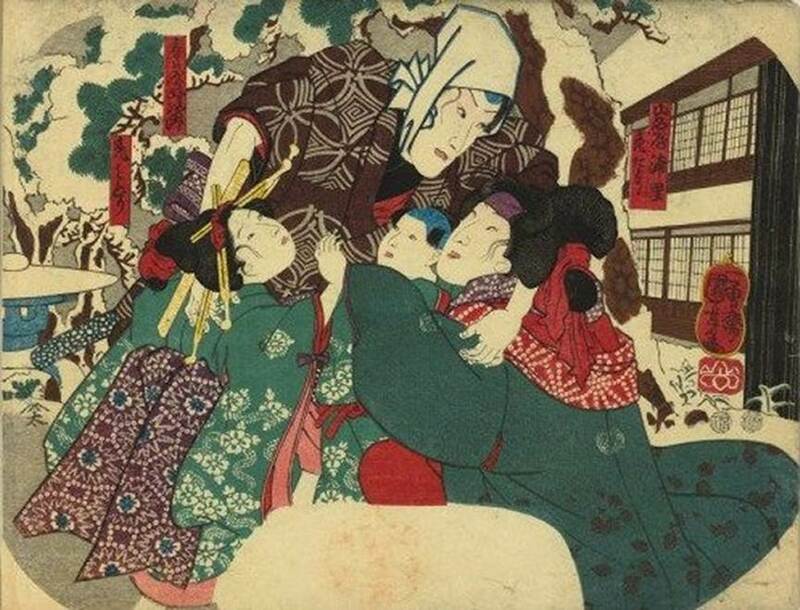 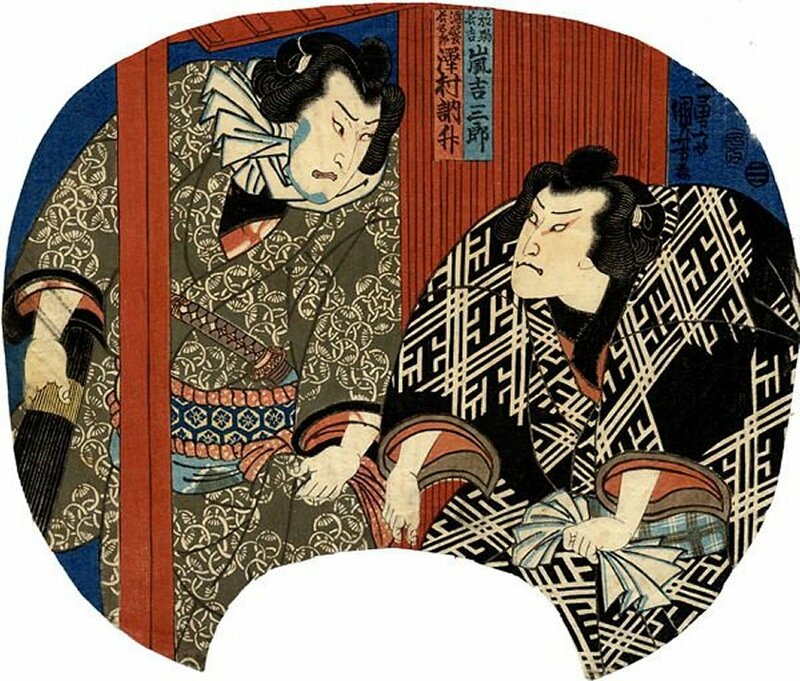 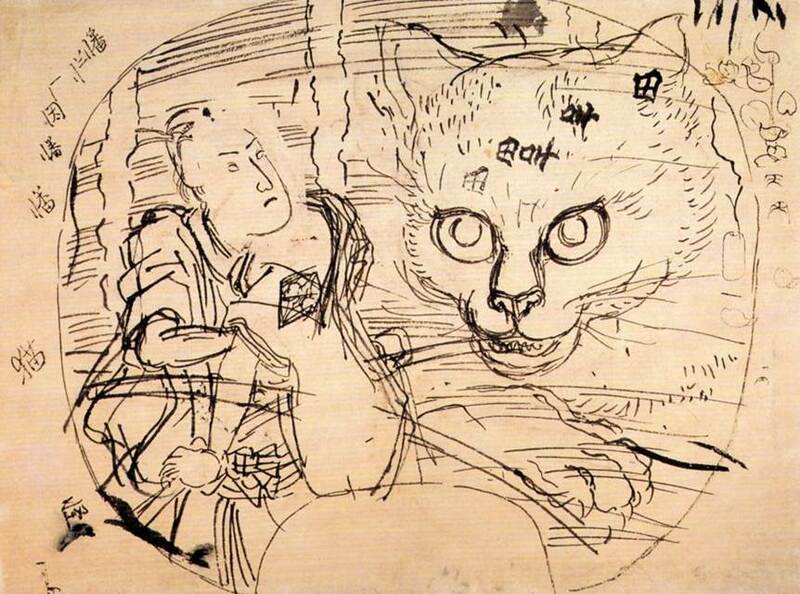 It is an impression pulled from the first woodblock made by a carver from the artist’s original drawing. 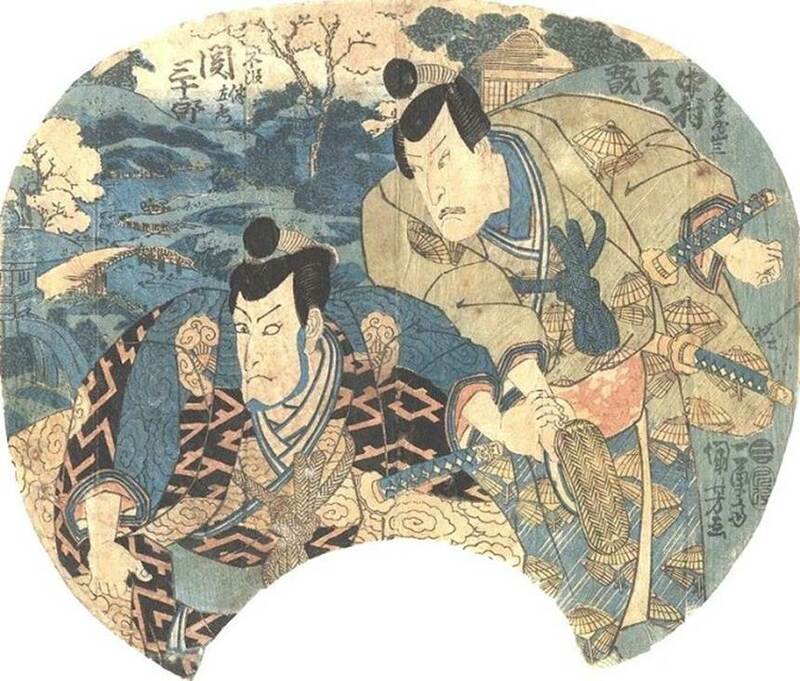 The artist would write instructions for each color on a separate key block print, and the woodblock for each color was cut using one of these as a guide. 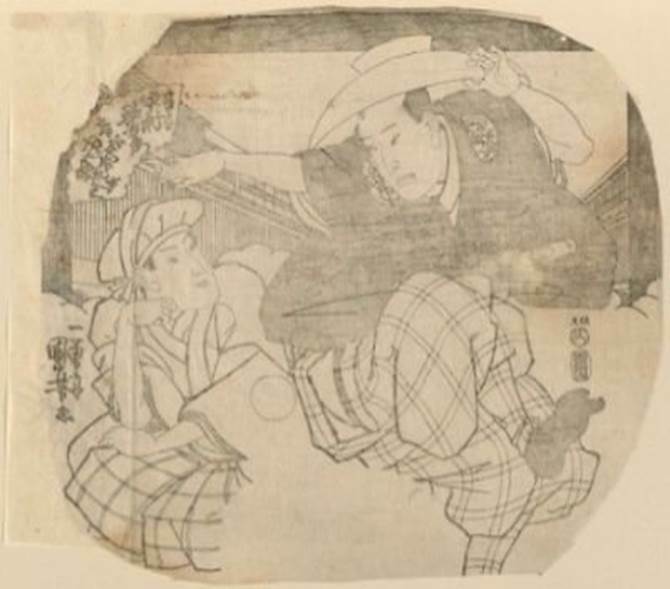 Registration marks (kento) are found in the left lower corner and on the bottom. 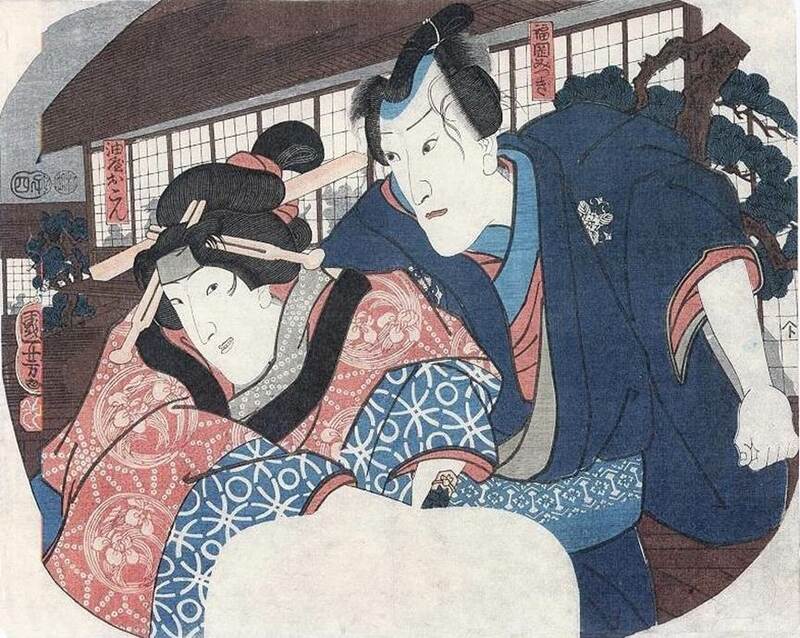 Kento are cut in each woodblock, so that the paper can be properly aligned on each woodblock during printing. 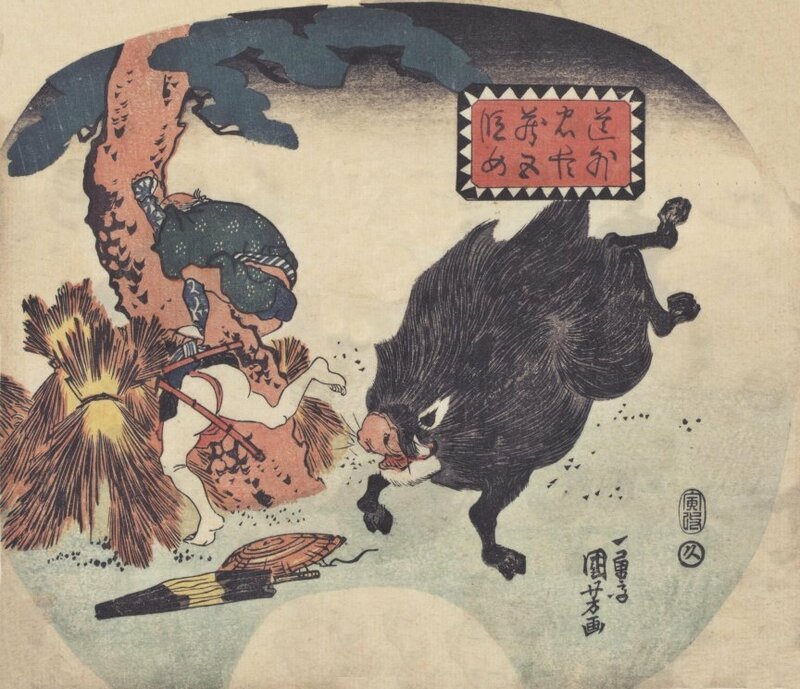 In addition to being a guide for carving the color woodblocks, the key block was also used to apply black ink (usually) in the printing process. 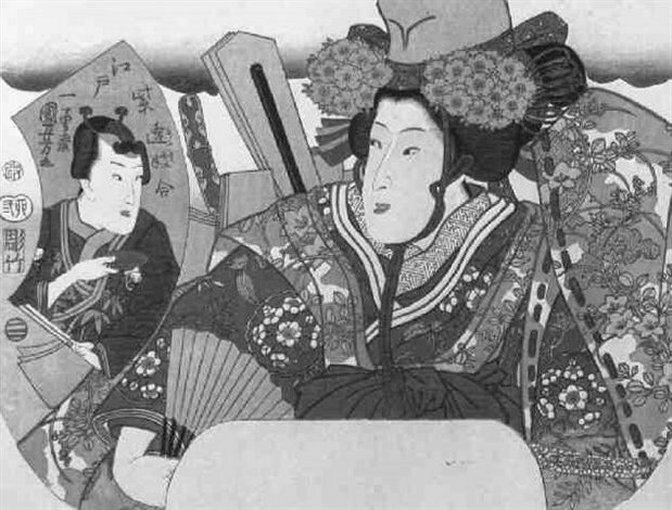 NOTE: “kamuro” (禿 or かむろ) is sometimes politely defined as a courtesan’s child-servant, but preadolescent apprentice is a more correct translation. 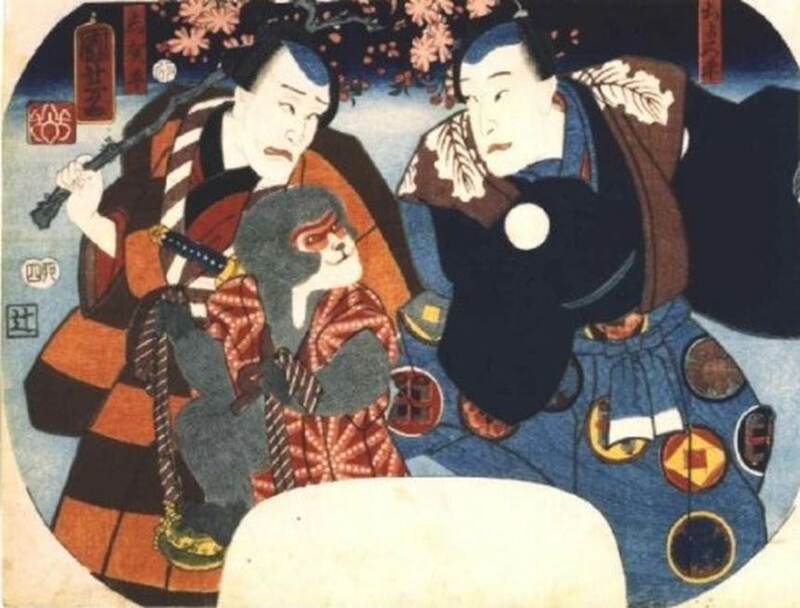 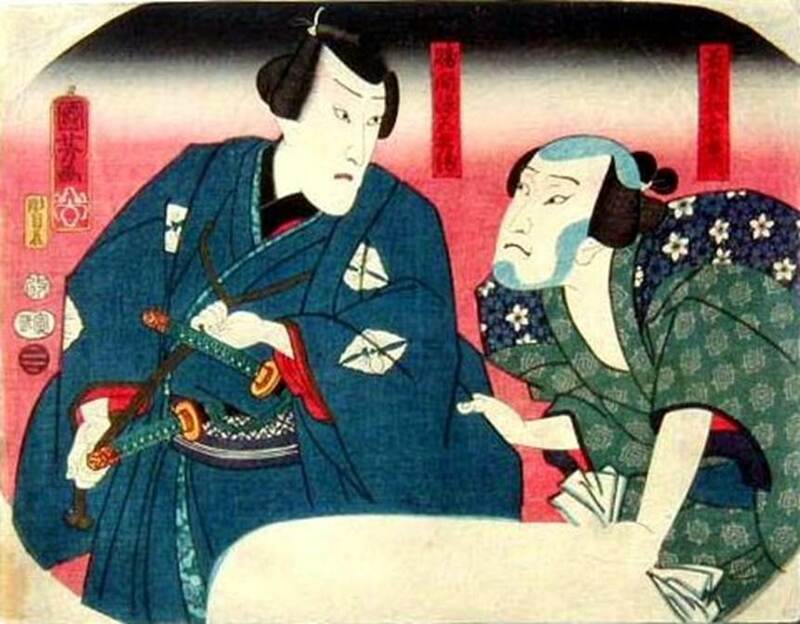 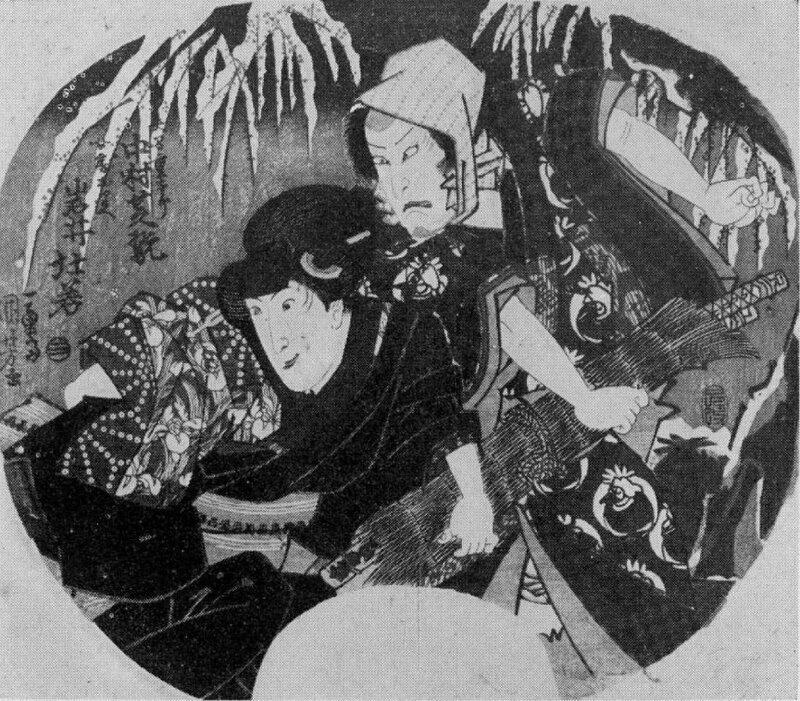 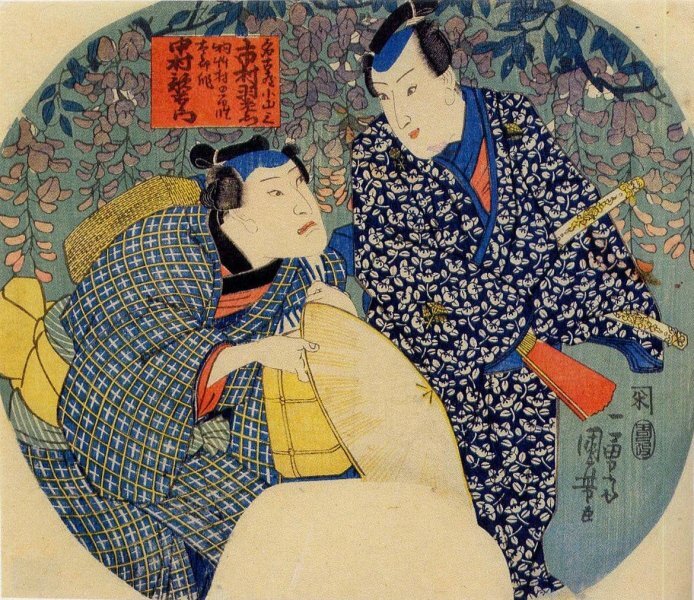 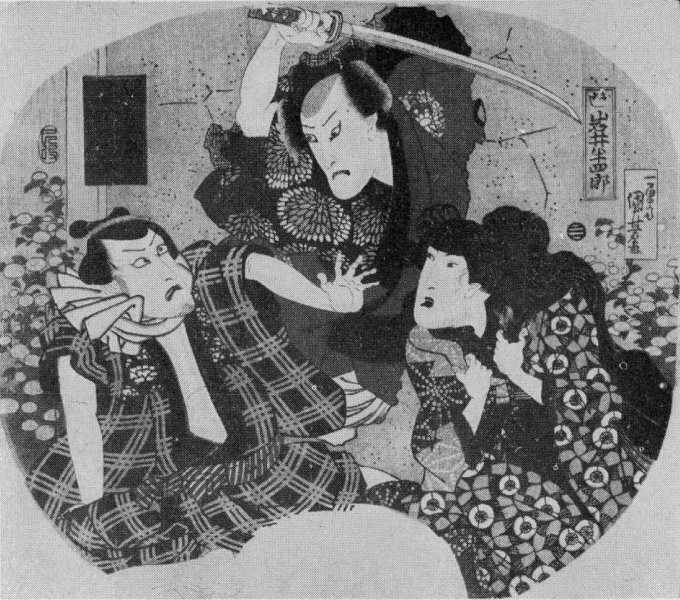 Actors: This is a scene from Act V of the Kanadehon Chûshingura showing Kanpei, Sadakurô, and the wild boar. 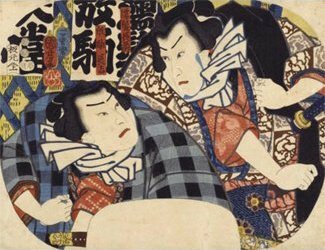 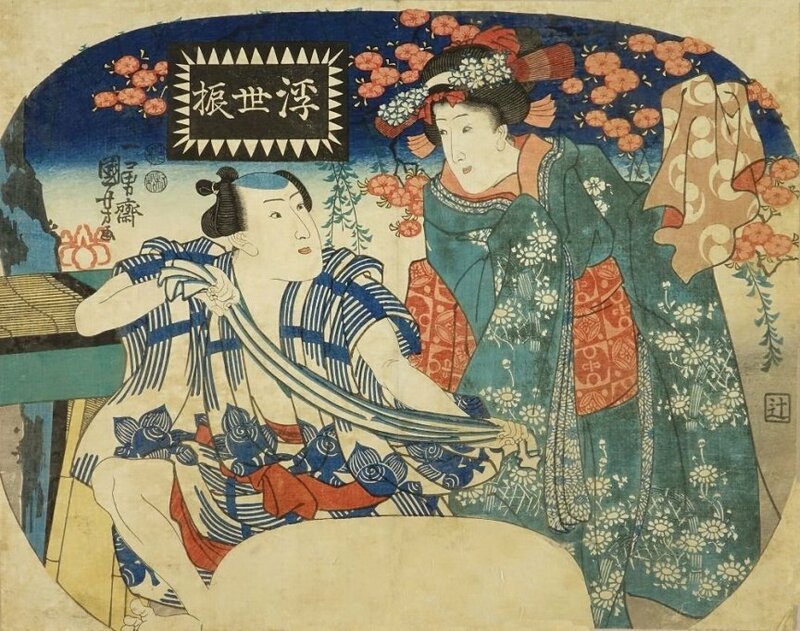 NOTE: The “dog-tooth pattern” framing the cartouches indicates that the print represents a scene from the kabuki play Kanadehon Chûshingura. 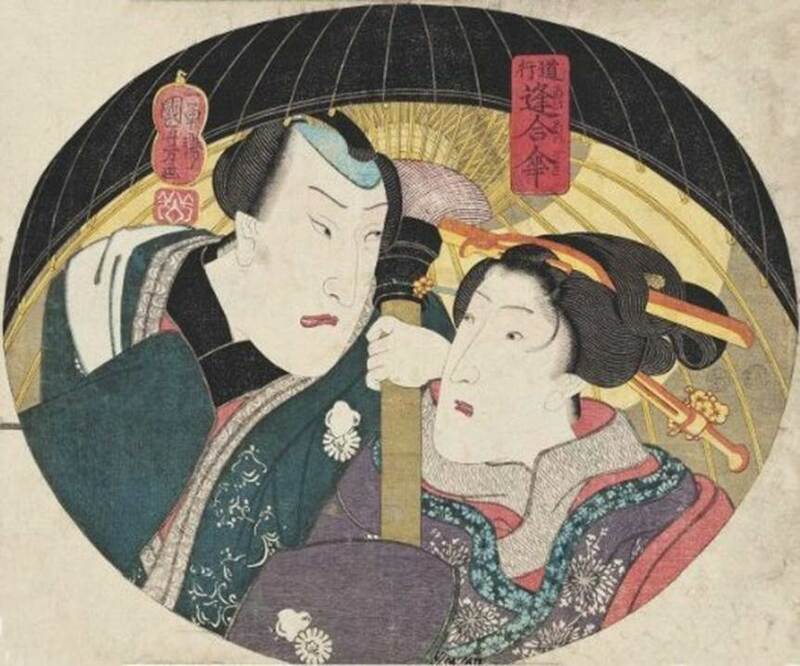 The oval seal is a combined date and censor’s seal for 1830.